One small step for man, one even smaller step for robots. On August 21, Japan’s adorable Kirobo robot became the first robot to speak in outer space, putting to shame — at least linguistically — all the awesome rovers and satellites hanging out in our neck of the cosmic woods. 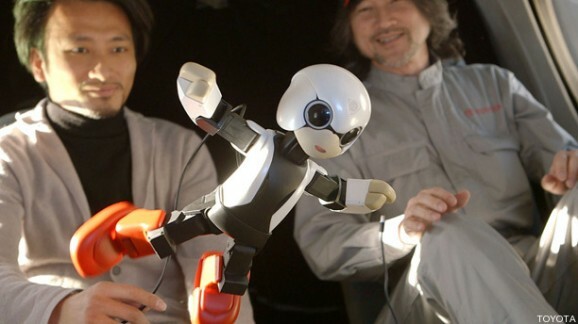 Kirobo was developed as part of the Kibo Robot Project, a collaboration of Japanese research corporations and institutions including Dentsu, University of Toyko’s R-Cast, Robo Garage, Toyota, and Keio University. The Kibo Robot Project aims to help facilitate solutions to problems caused by “a society that has become more individualized and less communicative.” The project recognizes that with more people living alone or being otherwise removed from societal bustle, human-robot interfaces are uniquely poised to help address loneliness and gaps in interaction and communication. 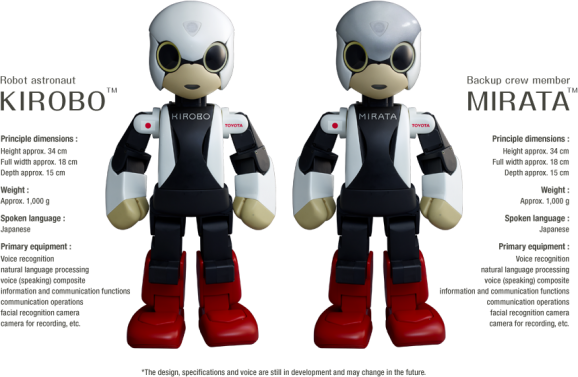 The Kibo team has developed two humanoid robots: Kirobo, the astronaut, and Mirata, the “back up crew member.” Aw…I guess poor Mirata pulled the short straw. Both robots are equipped with cameras, voice and facial recognition, natural language processing, speaking capabilities, and other communications functions. They’re both fluent in Japanese and are adorably tiny — about a foot tall and weighing 2.2 pounds. 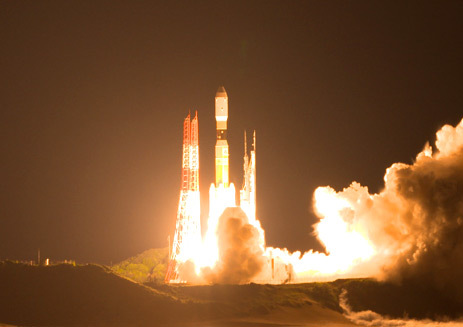 On August 4, Kirobo boarded Japan Aerospace Exploration Agency’s Kounotori 4 cargo transfer vehicle. 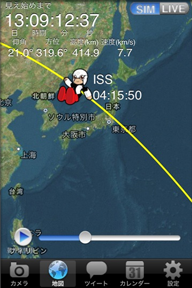 Kirobo safely reached the International Space Station without ever having to wash its hair. It’ll hang out at the ISS for a year and a half, conducting some communications experiments. Scientists are curious to see if the humanoid robot can help ease the sense of loneliness and isolation felt by astronauts. Kirobo will also be Tweeting from the cosmos and taking pictures as it waits for Koichi Wakata, a Japanese astronaut set to take over as commander of the space station later this year. Wakata will be the first person to chat with a robot in space — the conversation will be televised in December. During that time you can use the free “Where is Kirobo?” app to see exactly where Kirobo is. Meanwhile, Mirata will remain earthbound, demonstrating the robots’ capabilities to folks here on the ground and serving as back-up in case anything happens to Kirobo. Now that a talking robot is in space, maybe the aliens will be a little more forthcoming. I can just imagine Kirobo charming the tentacles off some extra-terrestrials, and making sure they’re not lonely. Maybe we should send Kirobo to Mars to hang out with the colonists. Kirobo could earn the dubious distinction of being the first robot star of interplanetary reality television.